Here at Android Authority we are about much more than just smartphones, tablets and other geeky gadgets. There’s a whole culture behind the Android scene; one that people tend to be very vocal about. And if we can’t express our love for Android in person, we will do it online. There are plenty of memes and other fun content out there. We aim to take our favorite ones and put them in this post for your viewing pleasure. Just keep in mind these are not meant to attack anyone or take sides, they are just images that should bring a smile or two to your face. Let’s have some fun! It happens to the best of us. Then you pull out your phone a second time and… forget to check the time again. Do we have any Dragon Ball fans around? Then there are the Star Trek fans! Aaaaaand of course. Star Wars. This one is a favorite. It just never gets old… unless you are still using BlackBerry. These images got very popular for a while. 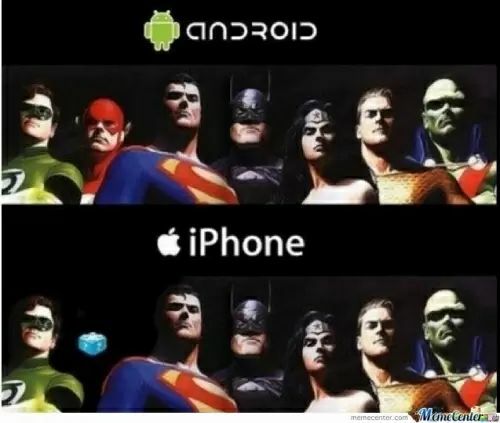 It’s the ultimate battle: Android vs iOS. And it’s not ending anytime soon. 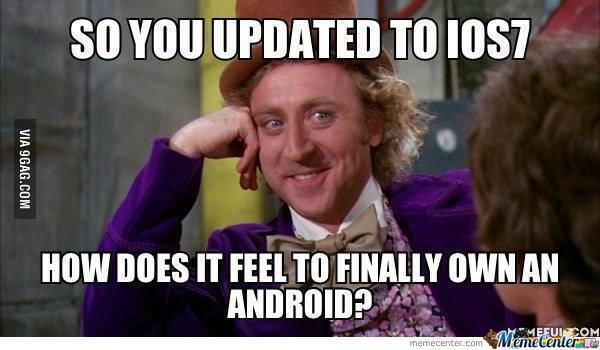 In fact, most Android memes are somehow related to Apple, too. But it’s not only a matter of price, right? It’s all about what you can do with a phone, and Android users sure love to brag about Android having more features, and using them way before Apple smartphone owners. No longer really applies, but we all remember the Flash days. 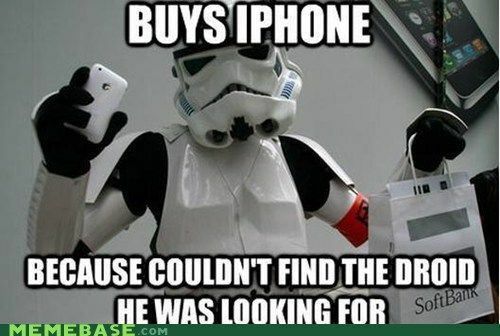 Also, we love to make fun of whatever issues Apple devices encounter. And we never forget them. Remember #bendgate? When Apple finally made the iPhone bigger… by just making it longer. This was after swearing for years that their 4-inch screens were perfect. Now they have huge iPhone 6+ screens. Oh, Apple Maps. You definitely impressed us! Then there are the others, who defended BlackBerry OS (the company is now making Android phones) and Windows Phone (failed miserably). But we try to be fair and recognize the issues within the Android community. After all, it’s all about having fun. This is not really a meme, but it definitely annoyed the hell out of us for years. All that fragmentation talk had me going nuts! Need we say anything about the next one? Oh, and there are great videos too! You remember those “Sh*t Apple fanatics say” videos? I still watch them on gloomy days, jsut to cheer things up. The banned commercials were simply genius! 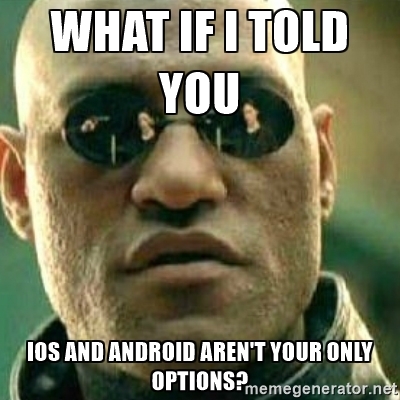 What is your favorite Android-related meme? 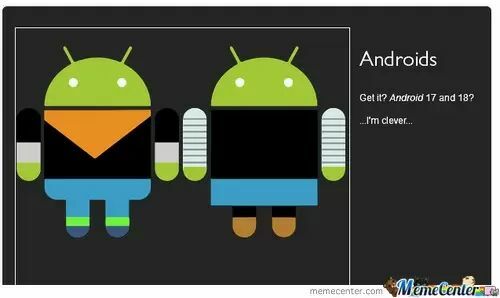 Do you have any funny Android-related memes or motifs? Share in the comments! Also, let us know which of these is your favorite.